Hoard, the cryptocurrency wallet, exchange, and payments app that’s simplifying blockchain for everyone. The design-driven blockchain-based company is integrating investments across cryptocurrencies and fiat currencies for a seamless investing experience. The company was started by a former senior UX designer from Wells Fargo and an AI veteran from the US Department of Defense. The platform is focused on simplifying the way that everyday consumers can invest and spend their money – whether it’s in Bitcoin, Ethereum, or Fiat – to reinvent the way people bank. CEO Jason Davis and CTO Dan Lipert are seeking to introduce a technology that the world can adapt to, by first enabling individuals to adopt to it. They believe that Cryptocurrency should be accessible and consumable by everyone, everywhere. Blockchain-based innovation is booming and traditional financial services are being disrupted every day. However, most cryptocurrency apps, or their parent platforms, lack exceptional customer experiences. The team at Hoard believes crypto-tech should be seamless, frictionless, and affordable. These are just a few reasons why they are developing a platform and supporting mobile applications to simplify the complexities of cryptocurrency. At Hoard, they are aiming to tear down barriers of entry and minimize steep learning curves so everyone everywhere can take part in this brave new world. 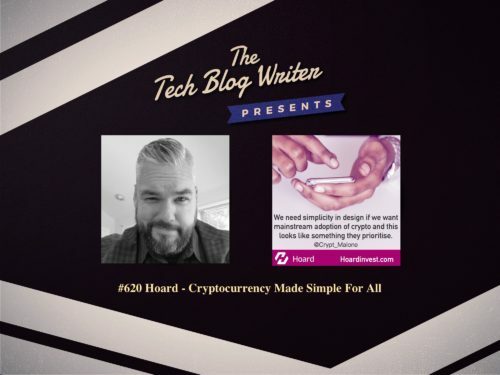 On today’s tech podcast, I chat with Hoard CEO Jason Davis to learn more about the Hoard platform and how they plan to break down the complexities of cryptocurrency, launch plans and more. Jason is an Ex-banker / designer turned blockchain and cryptocurrency innovator whose current focus is aimed at changing the financial world as we know it.